I swear I did not cry reading the first chapter. I did not. I did not. Ok, I totally did. You would think I would learn my lesson after a while and stop picking up Sneak Peeks of these books I am looking forward to but...nope. Not me. No willpower whatsoever and now I'm paying for it. HOW am I going to wait an entire month to read this book?? I am in awe of this world, these characters and Dennard's talent at weaving a story. What can I say, I'm hooked and I need more. Talk about a rush! 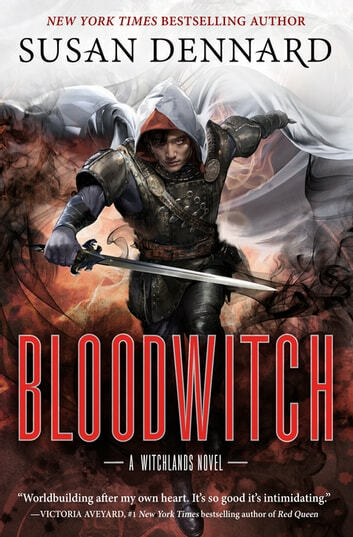 Aeduan's story was one I've wanted to read ever since he was first introduced, and not only was I treated to a truly heart-wrenching backstory and a tale of overcoming doubt and societal stigmas, I got to read one of the most action-packed WITCHLANDS stories to date! While Aeduan did the most growth, given how the book was centred around him, others followed their own path. Safi was trapped in lies and conspiracy and suffered a huge betrayal, while Iseult struggled with her new relationships and her ultimate goal. I was also happy to see more of Merik, though I'm still deciding if I liked his storyline or not. It wasn't what I expected, but it will definitely lead to some complex situations down the line. Especially given how it ended! Gah! Still, Aeduan was the prime element of the book, which also featured virtually non-stop action from about the halfway point onward. Seriously, I was barely able to catch my breath before there were explosions, chases, near-deaths, chaos, and shocking twists. All of it leading to an ending that has me begging for more! 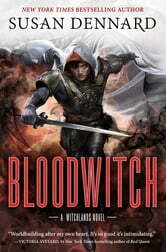 I've missed this series and these characters so much, and BLOODWITCH was definitely worth the wait. So far this is my favourite book of the series. It was everything I wanted it to be and I LOVE this series.